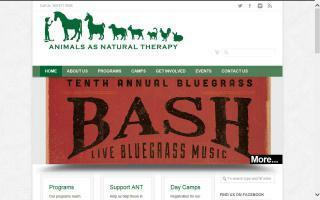 United States Equine Assisted Psychotherapy Programs Directory - O Horse! 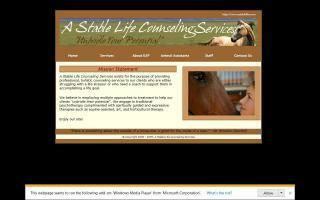 A Stable Life Counseling Services, Inc.
We provide mental health treatment to adults, children, and families through partnership with horses. Equine Assisted Psychotherapy is a unique, effective treatment that gets clients out of the office and into an unparalleled growth and healing experience. 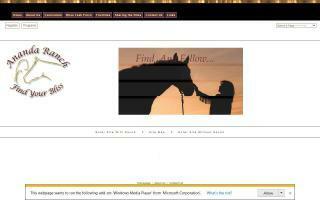 Healing the scars time can't take away: one person & one horse at a time! The Ananda Ranch Equine Assisted Awareness Program provides metaphorical learning and emotional healing for girls and women of all ages by engaging the client's own strengths. Participation in this equine assisted awareness program exposes girls and women to new approaches to facing challenges by promoting mastery and increased self-esteem. We are happy to provide services to and work with school counselors, private psychologists, and marriage and family therapists. Fees are assessed on a sliding scale based on income. Animals as Natural Therapy provides opportunities for children who have experienced an extra dose of life's challenges to work with and care for animals; thus building trust and relationship skills that can enhance their human relationships. Arrowhead Stables offers equine-assisted psychotherapy and non-therapeutic riding lessons in Layton, Utah. Conveniently located within driving distance of both Salt Lake City and Ogden, Arrowhead provides individual and group sessions to children and adults. Our programs are tailored to your specific needs and are effective with issues including anxiety, depression, trauma, substance abuse, and autism. We utilize trauma-informed therapy and relationship logic, and are certified through O.K. Corral. A whole client approach to adaptive riding. Our mission at Balanced Connections Adaptive Equestrian Program is to provide clients with complete horsemanship and a riding education in an atmosphere that allows for physical and mental development and learning through work with horses. A session with our horses can provide surprisingly rapid results. Our staff is EAGALA (Equine Assisted Growth and Learning Association) trained and certified, and we adhere to the ethics and high standards therein. BayStar EquiCenter provides a secure, respectful, and inspiring setting offering innovative solutions for those seeking new insights and positive life changes. Experience the peace and tranquility of our quiet county setting while allowing our horses to help transform and define you. Offering unique experiences, our clients are empowered to find their own solutions through interaction with our horses. Fun activities, individually tailored for each session will bring about "Ah Ha" moments. IMAGINE what yours might be! This is not about riding or horsemanship. All activities are done with your feet firmly planted on the ground. Be prepared to take home a little mud or horse hair. We provide Equine Assisted Psychotherapy (EAP), Equine Assisted Learning (EAL), and Professional and Personal Growth Workshops for individuals, children, families, couples, groups, and corporations. We are certified with the Equine Assisted Growth and Learning Association (EAGALA) and adhere to the EAGALA model. 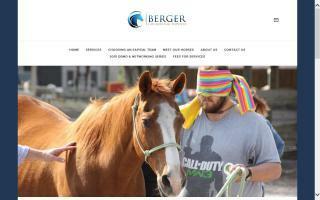 Berger Counseling Services provide Equine Assisted Psychotherapy to children, adolescents, and adults. Therapy focuses on building strengths, making positive changes, and building healthy relationships. The services will help individuals, families, and groups. Equine Assisted Psychotherapy helps people see issues in their lives and helps them to make changes quickly for a variety of issues including: depression, divorce, anxiety, trauma, autism spectrum, anger, loss, and relationship problems.